There are many things that could be said about this book. I was having a hard time figuring out whether I was going to like it or not at first. But that was before I actually opened it up and began reading it. After I crossed the threshold and just delved right into the writing, it took two or three pages and I was fully immersed. 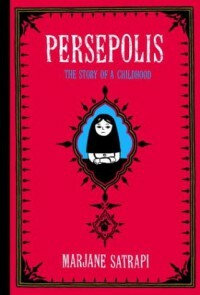 This is a graphic novel that doesn't have much to say for itself in relation to the art-style, though I could endeavor to explain it, but its main character, who is writing Persepolis as an autobiography, is the driving force behind this entire story--her story. It's her childhood, written about growing up in Iran, going through the revolutions and the wars that soon after the 1980s began to ravage the region, and what it did to its people there. This is a story that very often I wouldn't turn an inch for or spare a second glance to, and yet perhaps it's because it was in the form of a graphic novel that I was able to sit down and allow myself to entertain a subject so normally distant from my interests. Not that I'm not a follower of politics, but that for the most part, I enjoy taking breaks from reality with what I read. It's a preference I've mentioned a handful of times before in some of my reviews. But Persepolis was different, in almost every aspect. Yes, it had the political and cultural aspects of Iran unfolded page by page for me to understand. But it was a tale of experiences gone through by a child as it grew up surrounded by things it understood, and how those natural and normal everyday privileges, occurrences, and freedoms were slowly infringed upon and taken away. It's intriguing and moving, it speaks to you like a book right out of the Dystopian genre, and yet it's shockingly, veritably real. And that's what brings its value and its momentous impacting force directly to its readers. Nothing about it sounds like anything I'd want to read about for fun or even for the experience. But that's the surprise--that's the clincher: it is an experience, and one that absolutely should be taken up by anybody. Though we don't understand everything perhaps, though we may have preconceptions about "the Middle East" or "Iran" and so forth, this is one of those masterful pieces of literature that gives us a deeply empathetic look into the reality of things and how they steadily unfolded into many of the events that are still driving us and affecting us today on an everyday basis, whether we realize it or not. ...9/11 was an immensely personal occurrence for me, and I will never forget that day as long as I live. For your benefit, my Readers, I was in that wider group of peoples that was near New York City the day it happened. And it will forever be a hugely personal part of my life. ...it brings me relief, and a type of closure that I found hard to find anywhere else, to read Satrapi's book, and to know that here, here I had someone who I could hold close to my heart, who I could empathize with, whose experiences I could share and relate to, and support. ...that was a tremendous gift. And even though this is a very, very new piece of literature, not having been out in the U.S. for even ten years now, it's a wonderful piece that should absolutely be given a chance. 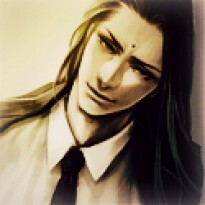 Whether or not we agree with everything, whether or not I approve of all the things mentioned, I was able to truly enjoy this reading, and, always most importantly for me: to understand it. Marjane Satrapi did her people, her country, and us a great thing by giving us her experiences firsthand like this. Although there are three other volumes I believe written after this one, I treat this volume, at least, as a gift. I'm truly glad I invested in it, and I hope my feelings will be found to be echoed. Like I said, I don't agree with all the things written there. I'm a very politically minded person, but... I appreciate this work, and I think many others would really enjoy it as well if they gave it a shot. So Readers, give this one a chance! It's really worth the time, and I think you'll come out a little more enriched for the experience it gives you.